Contrary to much of the racial identity debate, race is far from a social construct. Read the rest at USA Today. 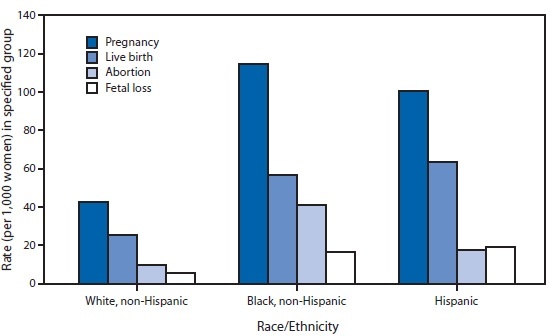 The CDC has released rather sobering data on the large discrepancy between the races (white, black, Hispanic) in regard to teenage pregnancy and abortion rates. The data below is from 2009 and represents teens aged 15-19.